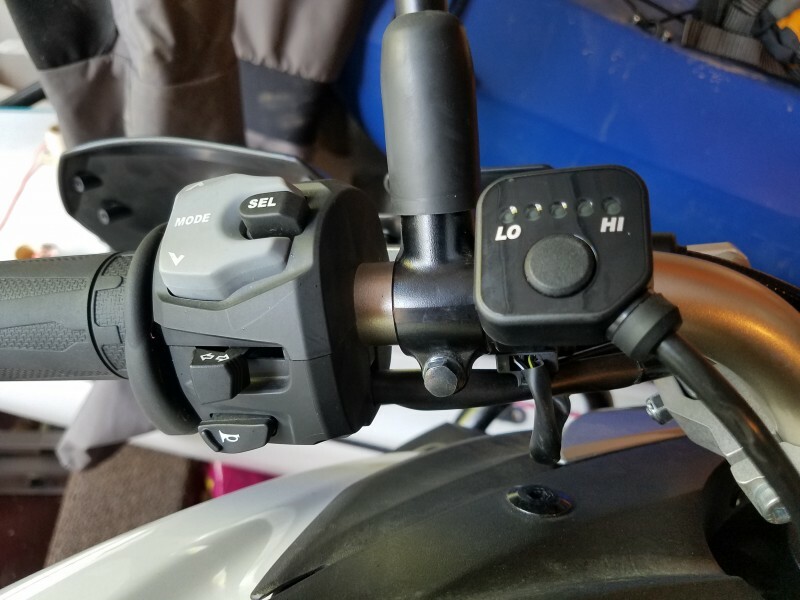 In an effort to extend my motorcycle riding season, I had Flying Tiger install a set of heated hand grips. The cost of the grips plus installation was $300, but money well spent. The button with the LO to HI is the controller for the different heat settings. I can say without a doubt that it was worth every penny. Having warm hands makes a huge difference for comfort. If you like to ride but don’t like being cold, its worth it! This entry was posted in Motorcycle and tagged Heated Grips. Bookmark the permalink.